These meatballs are a favorite at my house! They are delicious and very low in carbs! 12 strips of Turkey Bacon Cut in half lengthwise. Heat the oil in a skillet. Add the onions, sprinkle with the salt, and cook for about 5 minutes until the onions are translucent. Remove the onions to a bowl to cool. Put the ground turkey , chopped mushrooms, parmesan cheese, and egg in a bowl. When the onions are no longer hot to the touch, add them to the bowl with the meat mixture and work everything together with your hands. Shape the meat mixture into 2 inch balls around a large cheese cube. Wrap half a strip of bacon around the entire meatball. Place the wrapped meatballs on a Silpat or foil lined baking sheet. Bake for 15 minutes or until bacon is cooked and golden brown. Posted on March 11, 2019 by Aloe Life International Inc. So many people are experiencing dramatic WEIGHTLOSS through the power of KETO eating! So just what is KETO you might ask? It is a way of eating that causes your body to go into a state of Ketosis quicker than traditional dieting by reducing your carbohydrate intake to 20 grams or less a day. The diet consists of the food groups in these ratios 70% fat, 25% protein and 5% carbohydrates. This diet can also be Gluten Free!! Why is Aloe Vera Juice helpful for a person doing a KETO Diet? Aloe Vera Juice Concentrate by Aloe Life is amazing at increasing digestion of foods even fats and proteins! As you can see above the KETO Diet has a high concentration of fats at 70% and 25% protein! Aloe Vera Juice is also great at increasing energy because of its abundance of trace minerals and vitamins! 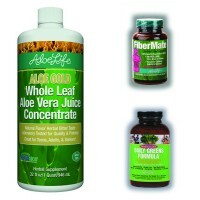 Aloe Gold by Aloe Life has very low carbs at 1 gram per 1oz. Daily Greens for its energy support , often experienced during dieting and nutrient dense gluten free dark green vegetable 2 grams per 1 1/2 tsp! Fibermate is a wonderful support for constipation that may be experienced during this diet! It has only 1 carb per 3 tablets! We encourage you to choose healthy foods when planning your meals including as many fresh vegetables and fruits as possible! My family has found a great help in using a food scale and a chart of the nutrition content in the foods to make sure you are staying within the daily guidelines for success! I have also found running to be amazing at least a few times a week. I was never much of a runner as a child and young adult but once I moved into my 30's its stress relief and cardio affects are amazing and noticeable. A great website I have been loving is https://www.runtastic.com/. They also have great u tube videos on the Runtastic channel of workouts to follow for abs, legs, etc. from 5-30 min long!! Posted on January 10, 2019 by Aloe Life International Inc. In a large 4 quart soup pan heat oil on medium and saute onions for 2 min. Add the rest of the ingredients except the cream and bring to a boil. Simmer for approximately 20 minutes and add half and half or coconut milk. For a creamy texture carefully blend 4 cups of the soup mixture in a blender and return to pan. Variation of a heartier soup add 2 cans of cooked black beans, 14oz. of tomatoes and drop the Allspice and Cinnamon and add 1 TBS Curry Powder and 1 Tsp of Cumin Spice. Both Recipes are delicious. Adjust Seasoning and top each bowl upon serving with sour cream, fresh parsley or grated carrot-Enjoy! 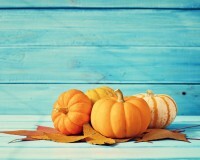 Posted on September 12, 2018 by Aloe Life International Inc. This recipe is delicious! I have made it many times. It has great texture and smells heavenly when its cooking!!! It is delicious on its own or for making Parfaits! 2 weeks shelf life or longer if stored in Freezer. Pulse almonds and hazelnuts in a food processor intermittently until most of the nuts are chopped into large pieces (about 1/4 to 1/2 of the full size of the nuts). Add the pumpkin seeds, sunflower seeds, erythritol, and golden flaxseed meal. Pulse just until everything is mixed well. Don't over-process! You want to have plenty of nut pieces remaining, and most of the seeds should be intact. Add the egg white to the food processor. Whisk together the melted butter and vanilla extract in a small bowl, and evenly pour that in, too. Pulse a couple times, mix a little from the bottom toward the top with a spatula, then pulse a couple times again. Repeat as needed until everything is coated evenly. Again, avoid over processing. At the end of this step, you'll have a combination of coarse meal and nut pieces, and everything should be a little damp from the egg white and butter. Transfer the nut mixture to the prepared baking sheet in a uniform layer, pressing together into a thin rectangle about a 1/4 inch thick. Bake for 15-18 minutes until lightly browned, especially at the edges. Serving size 1/4 cup - Total Fat 26g, 7g Carbs, 5g Fiber, 1g Sugar, 7g Protein. Total Net Carbs 2g. Posted on March 14, 2018 by Aloe Life International Inc.
Aloe Life Skin Gel Aloe Mist is a refreshing and conditioning topical spray for the skin! The Whole Leaf Aloe Vera base Optimizes Absorption of the Unique Active ingredients offering support for all skin types. Especially beneficial for troubled or weather exposed skin. The light refreshing grapefruit scent of Skin Mist contains no thickeners and FEELS GREAT! This easy to spray healthy hydrating mist gives a quick first aid burst and soothing skin support. One of my favorite uses is for a sun burn because I don't have to touch it to apply!!! Nourish, Renew, Soothe, Protect and Moisturize the skin. Whether used as a Pick-Me-Up, Daily on face before make up as a Collagen Booster or for Topical abrasions Skin Mist is a healthy daily support spray for a variety of needs. Studies have supported the Protective and Skin Regenerative properties of the Whole Leaf Aloe Vera when applied to the skin. FOR WHENEVER YOU NEED A REFRESHING PICK-ME-UP OR QUICK FIRST AID!! Ingredients: Organic Whole Leaf Aloe Vera Barbadensis Juice, Allantoin, Panthenol, Sodium Hyaluronic Acid, Polylactic Acid, Polysorbate 20, Tocopherol Acetate(Vit E), Retinyl Palmitate(Vit A), Chamomilla Recutita(Matricaria)Flower Extract, Sodium Ascorbate(Vit C), DL-Thioctic Acid (Alpha Lipoic Acid), L-Proline, Sodium Benzoate & Potassium Sorbate, Natural Grapefruit Extract Fragrance. No Water Added! Posted on February 28, 2018 by Aloe Life International Inc.